Few human activities are so universal as the act of flushing a toilet. Most of us do it without even thinking about it, so it's not common to stop and think about the convenience of the several inventions that humanity has created in order to make the act of making your waste disappear into the ocean. But I'm not most people, and I am here to prove it. 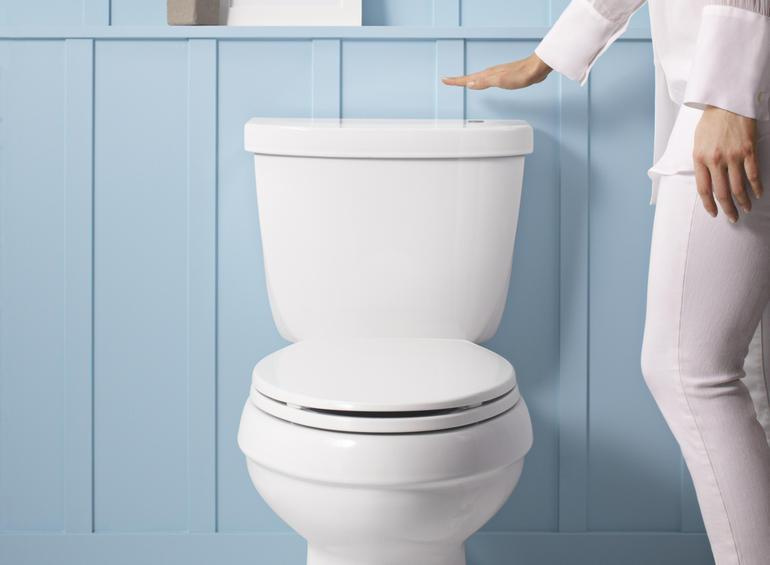 These are the top five flushing devices, ranked. This one is apparently an uncommon sight in other countries, but it was once one of the most popular systems in my country, or at least my house. Its slow but certain removal from homes around the world (maybe?) has to do a lot with the reason it's ranked the lowest in this list. It's easy to guess how this works: you just pull the knob in an upwards direction and water will soon flood your toilet, taking away what five minutes ago was inside your body (or longer if you went to the bathroom with your phone). Seems fool-proof, so what's the problem? Well, here it is. Some people aren't very tidy with their clothes and bathroom tools, like hair dryers or straighteners, and they will just let them lie around anywhere, even on top of your toilet. Used underwear and/or electric shaver cords can block the knob from returning to its original position once the toilet is flushed, eternally trying to drain water from somewhere and failing. 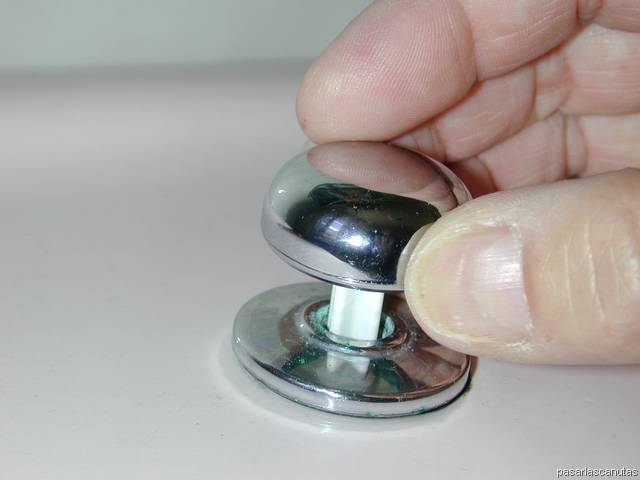 Eventually, a roaring, thunderous sound coming from your pipes will invade your house until you notice the knob is up. Even after removing the obstruction, you'll remain unable to respond to the call of nature for a while until enough water returns to the cistern. It's not a pleasant situation to be in, and that's why this system is at the bottom. 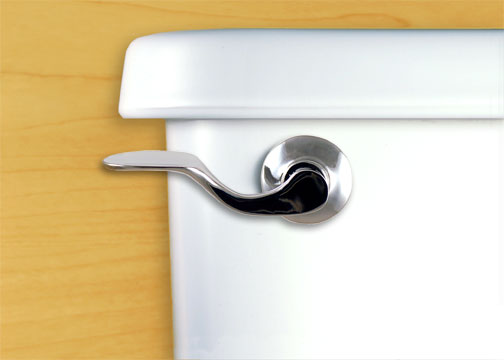 The chain used to be the mainstay of toilet flushing decades ago, and it still refuses to go away, despite better and more fashionable alternatives. Among its many substantial advantages, there is an undeniable feeling of self-worth that follows pulling a chain. You can pretend you're honking the horn of your truck, and none of the other designs can come close to that. Unfortunately, chains involve a suspended toilet cistern, and that just isn't chic any more. If you want to put a shelf or cabinet over the toilet, you can't do it if your toilet has a chain. 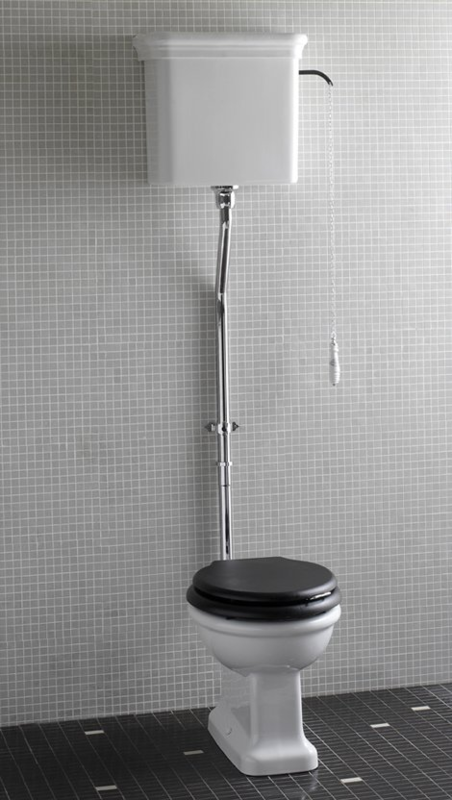 If your restroom is small, even the tiniest space is important. So although it's recommended for vintage flushing connoisseurs, interior designers have made themselves clear: free yourself from those chains! Handles make your WC seem like a door, a door for poop. It already is a symbol for the mysterious and the unknown, and it's never a bad thing to give your bathroom an extra enigmatic touch. These aren't too popular around here, and I didn't know at first if you were supposed to pull or push the handle. Watching a number of YouTube videos about toilet flushing didn't give me an answer, but fortunately our dear Typical Michael was willing to help: they are pushed down. That means that clothes lying around affects these, too, and maybe even more severely. Unlike the mushroom, you may actually activate the flushing by throwing your trousers at it, which would originate that atrocious cycle I talked about earlier. Why rank them above the other two variations then? They look pretty cool, and they're not out of fashion yet. These beauties are definitely here for the long run. I wonder who invented the button. You just press a round thing and voilà! Stuff happens. In this case, the activation of the button starts a wonderful voyage for your bodily fluids, but buttons can also, in different contexts, take you to a different floor on an elevator or start a nuclear war. Implementing buttons on toilets was a very important step in the development of these technologies, and I would say mankind in general. Buttons not only don't suffer from the drawbacks of other systems, but they are also good for the environment. In the above picture you can see a double flush button: pressing only one of them will decrease the amount of water used to take your stuff to the sea. This option is recommended for pee and also if you didn't poop that much. 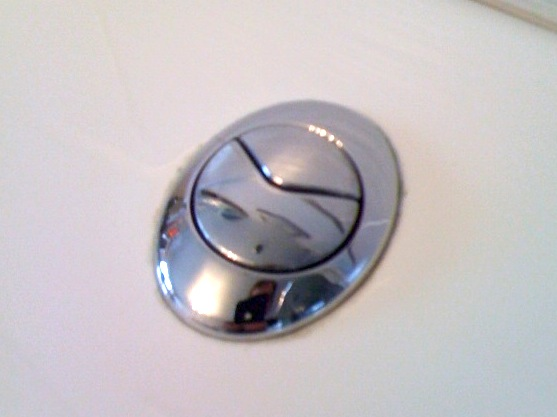 Buttons are still the most popular flushing solution, since they present no disadvantages whatsoever. Nevertheless, there's one that will blow the rest out of the water. The future is here, my friends. Let's face it: toilets are gross, so the less you have to actually touch them, the better. That's why motion sensors are undoubtedly the way to go now, no pun intended. Just move your hand over the light and the toilet will flush. It's like the Force, but real! And of course, there's those auto-flushing toilets, which automatically trigger the flooding once they detect you're done. Yes, exactly like that Lethal Weapon 2 scene, only with less bombs! And also less black people, since it didn't work for them. Some people complain that they want the freedom of flushing their toilets back, instead of giving it to a potentially dangerous machine that spends its whole existence having to forcefully ingest your faeces, but I disagree. Risks have to be taken in order to progress as a species, and when it comes to auto-flushing, it's a risk we should be willing to run.